Long-time stalwart of Dubbo racing, stock and station agent and bloodstock auctioneer Peter Milling, was delighted for a number of reasons at the success of the local race meeting on Sunday February 19. Among them was the good crowd at the track, drawn to the meeting by the richest race held in central western NSW, the $150,000 Country Championships Qualifier and record total prize money of $370,000. Even more pleasing for Peter Milling were the wins on the nine-event program of two graduates of the Dubbo Thoroughbred Sale, an annual market he established 45 years ago. The first of the two winners was Larlabrook, a Clint Lundholm-trained Ready’s Image (USA) three year-old gelding who cost $18,000 as a yearling and who has now raced three times for a win and a close second at Tamworth and the Dubbo 1000m Benchmark 55 success (1.25 lengths, 13 ran) to take his earnings past $45,000. The highlight of the afternoon’s racing was the impressive win in the Country Championship Qualifier by Stoneyrise, a Zariz five year-old gelding owned and trained by James Hatch. Hatch is registered as training at the historic far western centre of Bourke, but does much of the work on his Wombah Station, which straddles the NSW-Queensland border about two hours drive north west of Bourke in dingo fence country and with the village of Hungerford in Queensland, just under 1000kms away from Sydney, his nearest town. In conditioning Stoneyrise, he rides the horse himself, including using the gelding in some stock work and doing a bit of jumping. A $7500 Dubbo yearling out of Moss Lover, a Mossman winner produced by Lady Lover, a Thunder Gulch (USA) half-sister to Black Caviar’s sire Bel Esprit, Stoneyrise has now won six of 14 starts and $113,640, the other wins being at Bourke (3.75 lengths), Quilpie (west Queensland, 3.5 lengths), Louth, Cobar and Coonamble. His victory at Dubbo qualifies Stoneyrise for a place in the field for the $400,000 the Country Championship Final to be run on the $10m The Championships Day at Randwick on April 1 and a race won in 2016 by Clearly Innocent (Not a Single Doubt-No Penalty by Zabeel), trained at Scone by Gregg Bennett. Four Gr.1 events on that day are the $3m The Star Doncaster Mile (1600m), $2.5m Darley T.J. Smith (2YO & Up, 1200m), $2m BMW Australian Derby (2400m) and $1m Inglis Sires’ (2YO, 1400m). The Country Championship Final is certain to excite the whole of NSW as it is the equivalent of a grand final for the best country horses in seven regions, Northern Rivers, South East, Western, Mid North Coast, Hunter and North West, Central Districts and Southern Districts. Each of these regions holds a $150,000 Country Championship Qualifier with the first and second qualifying for the Final at Randwick. Four of these Qualifiers were held in February, at Grafton, Goulburn, Dubbo and Taree, and the other three are scheduled for Scone (March 5), Wellington (March 12) and Albury (March 19). Scone’s neighbour Muswellbrook is booked to again stage the $50,000 Country Championships Wild Card on Sunday, March 26. This is a second chance to qualify to the performers who have contested any of the seven qualifiers and missed the first two placings. 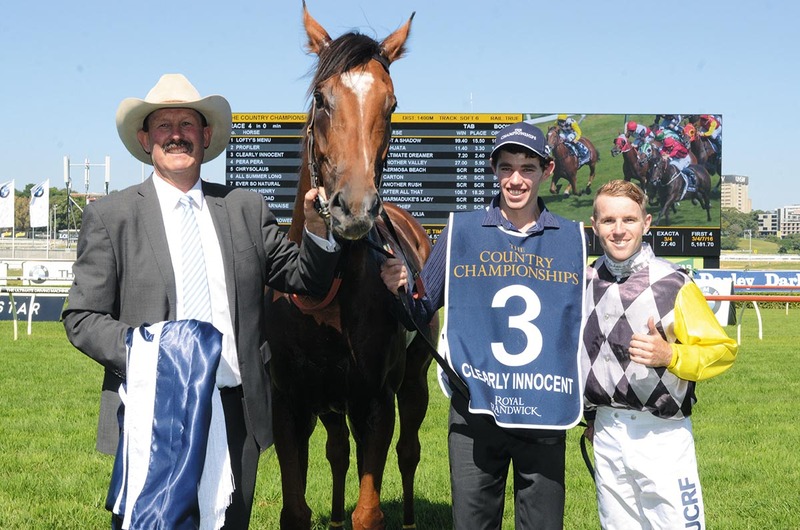 Organised by NSW Racing and in its third year, the Country Championship and its Qualifiers have been a huge stimulant for racehorse ownership, training, breeding and race day attendance. The Qualifiers have the added benefit of being held on Sundays as against much of the other country racing being on weekdays in order to benefit from TAB coverage. In addition to the $150,000 Qualifiers, each of the other seven races on each program carries prize money of at least $30,000. Every one of the eight Qualifier race days, including the Muswellbrook Wild Card meeting, has a $40,000 Country Maiden Showcase Plate, an event only open to horses who have been in a country stable for three months or more. The March 5 program for the country racing showplace, Scone, Australia’s breeding horse capital, will distribute $370,000 in prize money and is fairly certain to attract more than 100 starters, including a big team from Newcastle and representatives from Wyong, Gosford, Hawkesbury and Sydney. The Scone meeting promises to be another carnival day with, besides NSW Racing entertaining industry leaders in the club’s magnificent function centre, a perfect spot to view all the action on the big, roomy track, there is to be an air conditioned lawn marquee offering gourmet food, beverages, TV screens and TAB outlets. It will be the first big race day for Scone’s new executive officer Heath Courtney and new president, Godolphin’s head of sales Alastair Pulford. He fills the void left following the recent death of long time club leader Noel Leckie. The new management team is already very much involved in organising Scone’s annual Cup Carnival, set down for May 12 and 13. Offering nearly $2m in prize money and trophies, a stand alone ‘city’ class meeting on the Saturday, eight races of $100,000 or more each, seven of them black type, it ranks as not only the richest country carnival in Australia, but possibly the world. Scone’s carnival and the Inglis Scone Sale, to be conducted this year over two days, Sunday (Hunter Thoroughbred Breeders’ Association Yearling Sale) and Monday (100 yearlings, selection of weanlings and mixed horses) on May 14 and 15, wraps up Scone’s annual two week long action packed Horse Festival. BESIDES the Country Championships, Racing NSW has boosted the appeal of the state’s racing by holding The Provincial Championships. This series comprises five $150,000 Qualifiers, races at Wyong (held Thursday February 23), Hawkesbury (Thursday March 2), Gosford (Wednesday March 15), Kembla Grange (Thursday March 23) and Newcastle (Wednesday March 29). The $400,000 Provincial Championship Final is to be held at Randwick on the second day, Saturday April 8, of the Championships where $10.2m is to be distributed. Four Gr.1 races are the $4m Longines Queen Elizabeth Stakes (2000m), $2m Schweppes Sydney Cup (3200m), $1m Australian Oaks (2400m) and $1m The Coolmore Legacy Stakes (1600m). The Randwick Autumn Carnival is over three successive Saturdays with the third day, April 15, highlighted by two more Gr.1 events, the $600,000 All-Aged Stakes (1400m) and $500,000 Champagne Stakes (2YO, 1600m). There is to be big time racing in Sydney also through March, headed by 10 Gr.1 races, the $1m Royal Randwick Guineas (3YO, 1600m) and $500,000 Canterbury Stakes (1300m) at Randwick on March 4; $600,000 Coolmore Classic (Fillies-Mares, 1500m) Rosehill Gardens March 11; $3.5m Longines Golden Slipper (2YO, 1200m), $1m George Ryder Stakes (WFA, 1500m), $700,000 Ranvet Stakes (WFA, 2000m), The Galaxy (1100m) and Rosehill Guineas (3YO, 2000m) at Rosehill Gardens March 18; and $1.5m The BMW (WFA, 2400m) and Vinery Stud Stakes (3YO fillies, 2000m) at this track on March 25. Besides the rewards available at carnival racing and special events like the Championships, it seems NSW racing has never been more lucrative for breeders, owners, trainers and jockeys. Minimum prize money for Sydney Saturday meetings is $100,000 ($54,000 for the winner), with the exception of the weekly TAB Highway Handicap, a $60,000 event for NSW and Canberra-trained horses, the Provincial Club’s race for $30,000 ($22,000) and each race at a country TAB meeting is worth $20,000 ($11,200). Also, most races carry the NSW BOBS bonuses. Ambitiously, NSW Racing and the Australian Turf Club (ATC) have scheduled a new event to be run over 1200m at Randwick on October 14 under the banner of The Everest. This is being billed as “the most exclusive racing event for thoroughbreds held in the southern hemisphere”. Carrying $10m in prize money, making it Australia’s richest race, it is modelled on a new event conducted at America’s Gulfstream Park (Florida) on January 28, the $US12m Pegasus World Cup Invitational (9f-1800m). Like the American race, the Australian event will be self-funded through the sale of slots, entitling the purchaser to have a runner. Arrogate, the winner of the inaugural American race, by the way, is bred on cross of sires who shuttled to Australia from America. He is by Unbridled’s Song (three seasons Hunter Valley, 1997-99) and from Bubbler, a daughter of Distorted Humor (visited Victoria in 1999 and 2000).